A summary of the findings from the 2018 member survey is included below – the full report is will be available on our website For the first time this year we also conducted feedback sessions with players, and the notes from these sessions are also provided. 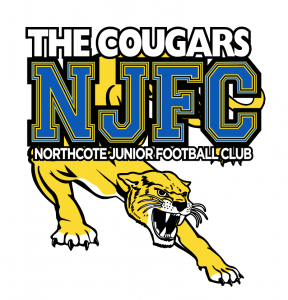 An online survey was distributed via a link on 17 July (after the school holidays), with members asked to complete it by the end of the home and away season on 29 July. A total of 78 surveys were returned, representing an overall participation rate of around 26% compared to 93 (31%) in 2017. The particularly low response rate from several teams means that the responses from these teams need to be cautiously interpreted. A number of comments were provided to explain the responses; a summary of these are provided in the report on the website. Two feedback sessions with players were held in 2018; U12, U13, U14, U14 girls and U16 girls’ teams on 7 June (older group) and from U9, U10, U11 and U12 girls on 13 June (younger group). U9 Gold was the only U9 team represented but other teams had between 1 and 3 members attend. Player likes included the sense of community about the club; it being family-oriented and inclusive. They also appreciated their coaches and the other volunteers that help around their team and the club. There were elements of the facilities that they liked, such as the lighting on the main oval, but they also had a variety of suggestions for facility improvements, such as the gravel/mud area out the front of the clubrooms, fixing the flickering scoreboard, cleaner toilets, fixing holes on the ground, and refurbishing the main clubroom area. They also liked the club jumper and the training tops. The club song was liked by some players and disliked by others. While players seemed happy with the variety in the canteen they felt the prices were too high. The older players described training on the main oval being too crowded and wished to see the back oval used for training as well to reduce congestion. Older players also recognised the benefits of rotations in the younger teams (defined as U9-U11) but felt that in the older age groups (U12 and older) they were affecting game momentum and competitiveness, and that players’ preferences for particular playing positions should be considered. Younger players saw the benefits of rotation in broadening their skills and providing variety. Some older players also wanted to see training drills more tailored to individual skills to foster continued player development. Younger players enjoyed having fun playing football while learning and improving their skills. They also liked the fact that we had all-girls teams, and the encouragement and support they received from their coaches and team mates. Making new friends outside of their normal school friends was something that they also enjoyed. They liked meeting new teams each week, although the behaviour of some teams was a concern for some. Some players did not like having to play in zones. Younger players were also keen to have more frequent and more challenging training sessions, particularly with other coaches or older players, and wanted to play more practice matches. They also wished to have more social events with the teams and club. Players were asked what would influence their decision to stay or leave the Cougars. For older players, where their friends were playing was the main factor in determining where players would want to continue playing. Being in a competition where they were competitive was also a consideration, as was having enough players (18-19) for a team. For younger players, they would stay because it’s fun and they feel that their skills are improving, and they enjoy playing with their friends. They were keen to convince other friends to come along as well. All players preferred playing earlier rather than later in the day.